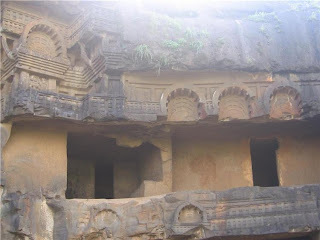 Bhaje caves in enroute to lohagad trek and is in heart of visapur hill. 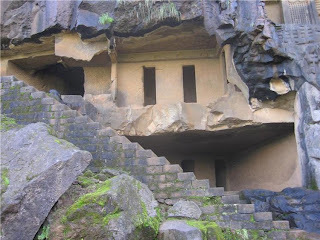 Bhaje caves are Buddhist caves situated near Malavali taluka of pune distric which is at a distance of around 70 km from Pune, Maharashtra, India. There is one chaitya (prayer hall) and many viharas (living quarters for monks). 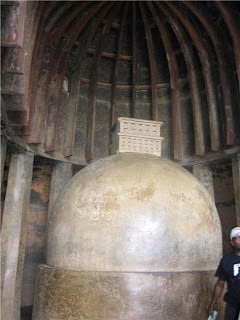 The Chaitya has one stupa. A few meters away from the Chaitya there is a cave in which there are around 14 stupas. 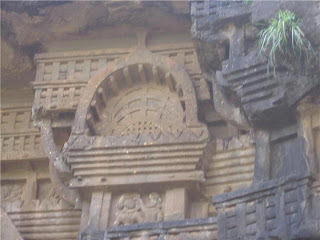 There is also a temple near this cave.The caves are conversed and protect by Archeology survey of India. 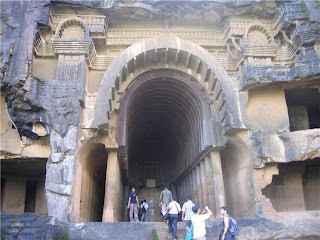 Karla caves are exactly opposite side of this caves ,Temple of Ekvira Aai lordess is also near karla caves.